More than 23 million students across the country, or one-fourth of the total population, started a new academic year on September 5. 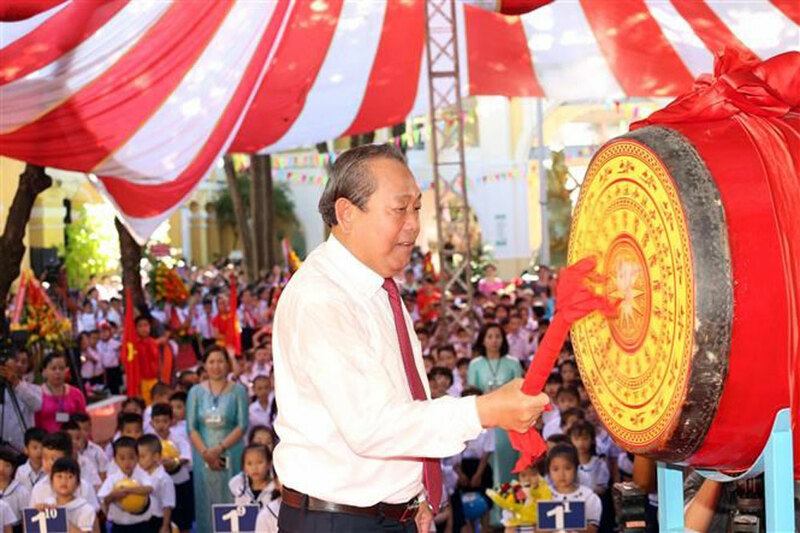 Prime Minister Nguyen Xuan Phuc beats the drum to begin new academic year in Tu Mo Rong district's boarding school in Kon Tum (Photo: VNA). 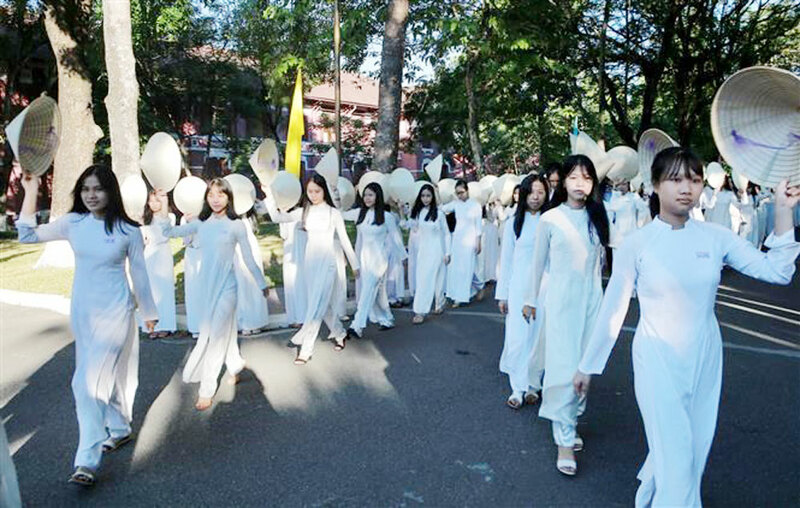 The new school year starts with a ceremony on early morning with good weather conditions (Photo: VNA). In the 2018-2019 academic year, the education sector will continue applying measures to strengthen State management and improve the quality of education, while building a safe, healthy and friendly education environment. (Photo: VNA). 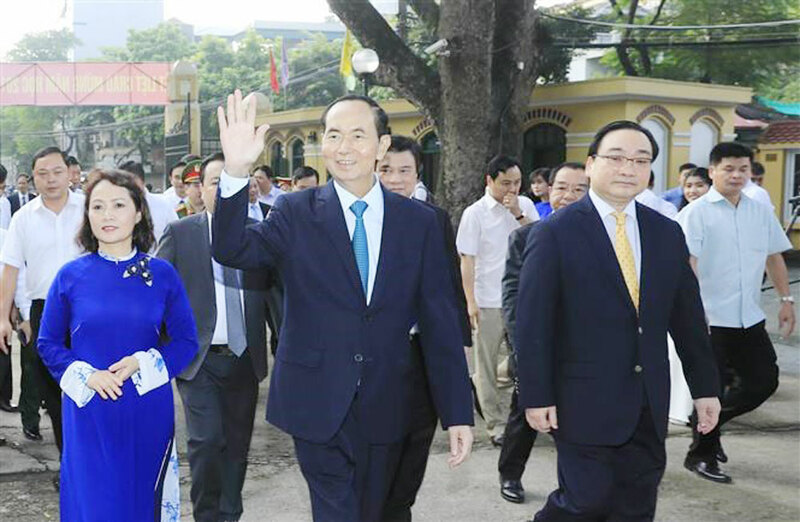 The back-to-school ceremony in Chu Van An High School in Hanoi is attended by President Tran Dai Quang (middle) (Photo: VNA). 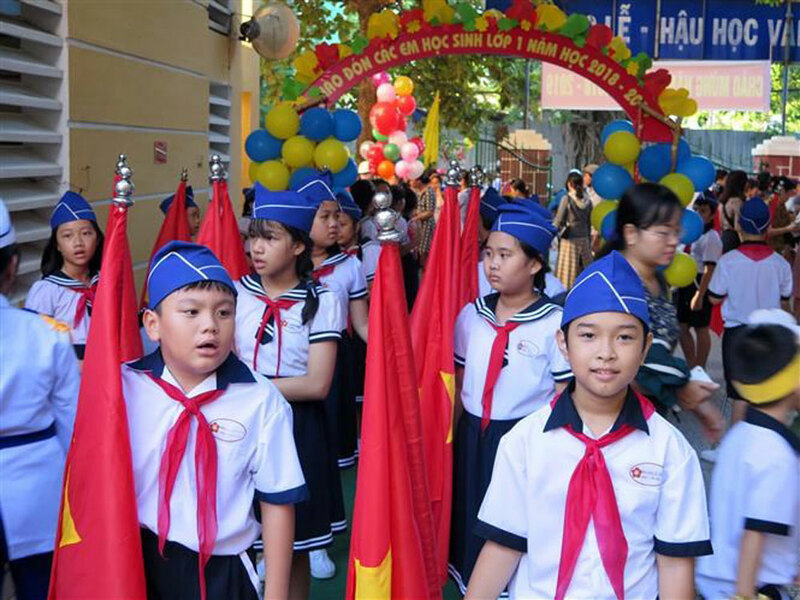 Deputy Prime Minister Truong Hoa Binh attends new school-year ceremony in Da Nang (Photo: VNA). 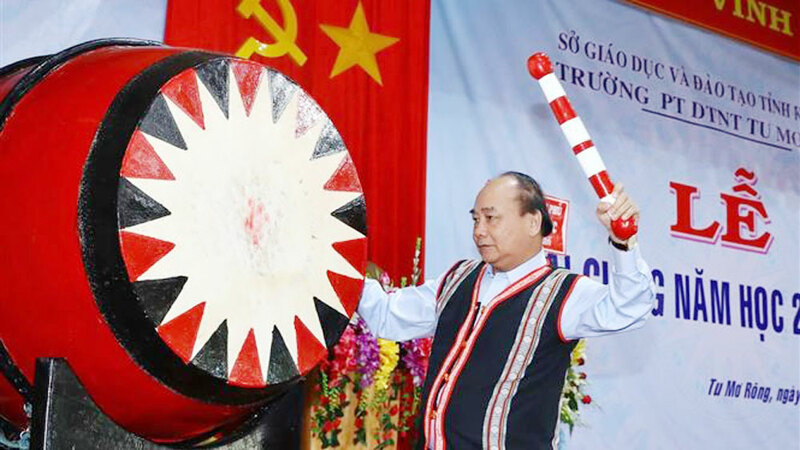 Nguyen Van Linh, Chairman of the Bac Giang provincial People’s Committee presents a printer to Viet Yen No.2 High School. 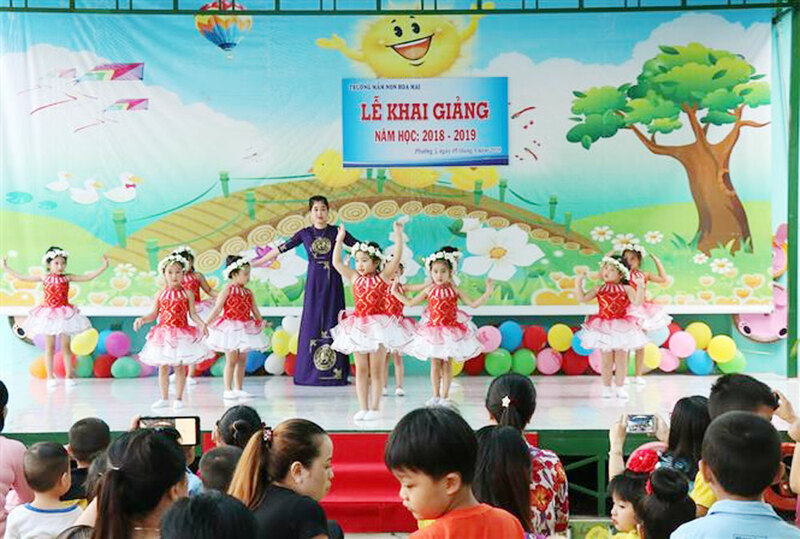 The art programme in the kindergarten school. Photo: VNA. 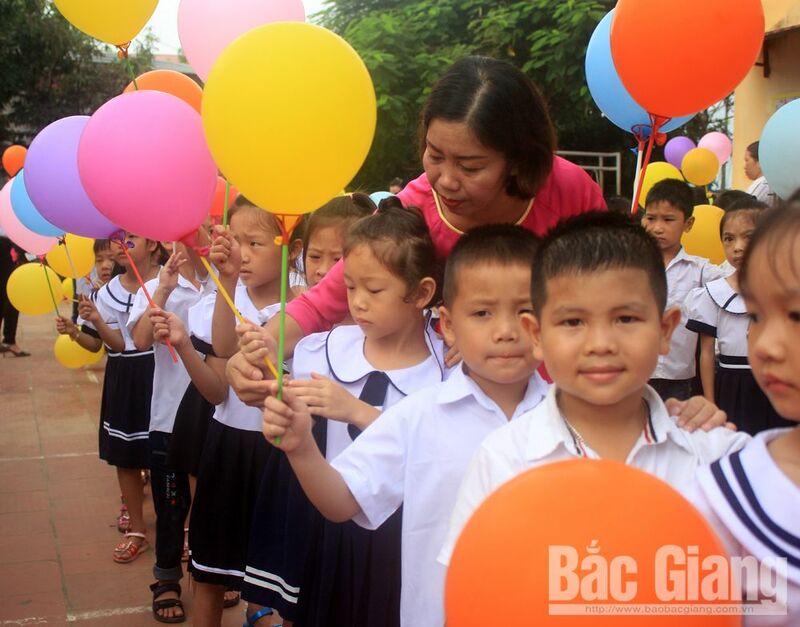 Teacher and students in Primary School in Hoang An commune (Hiep Hoa district, Bac Giang province) prepare for a new academic year. 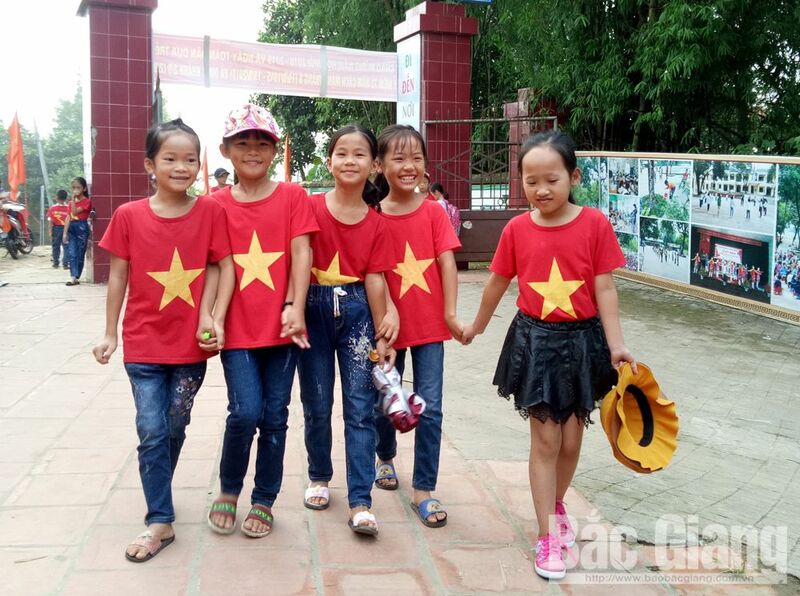 Students in Primary School in An Lap commune (Son Dong district, Bac Giang province) are exciting at the opening ceremony for new academic year.